Glu Mobile, the developer of the popular "Kim Kardashian: Hollywood" game, said it will develop a new mobile game with singer Katy Perry. The San Francisco company said Wednesday that the game will include Perry's voice and likeness. It plans to launch the game in late 2015 on Apple and Android mobile devices. The Kim Kardashian game, which also features the reality TV star's voice and likeness, has been a big hit for Glu. The company on Wednesday reported $74.3 million in adjusted revenue from the game in 2014—its biggest seller by far, although sales slowed in the fourth quarter from the third quarter. Perry has nine No. 1 hits on the Billboard Hot 100 chart, including "I Kissed a Girl" and "Roar." 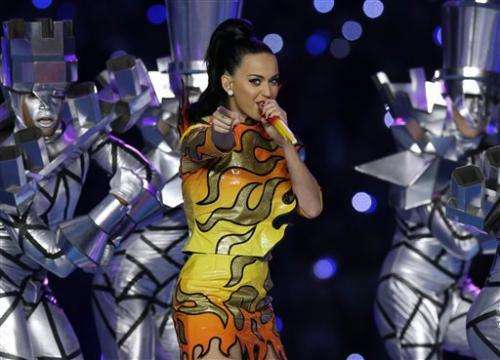 She performed at the Super Bowl on Sunday. Glu Mobile Inc. also raised its guidance for 2015 on Wednesday. Its shares rose 13 percent to $4.35 in aftermarket trading.